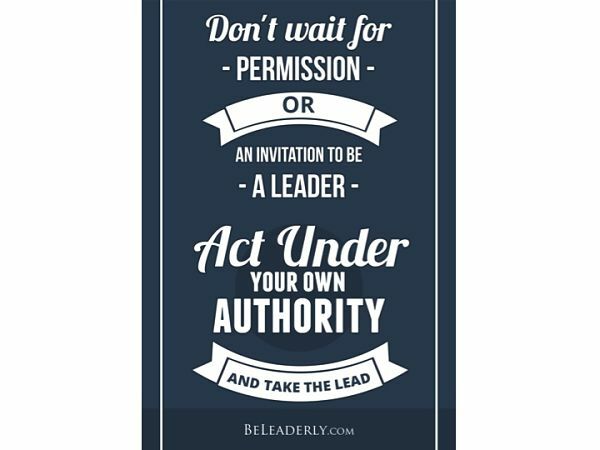 Leaderly Quote: Don't wait for permission...be a leader. If you believe you are capable of more than the job you are in today, don’t wait for someone to promote you. And don’t wait for permission or an invitation to be a leader. Act under your own authority, and take the lead!